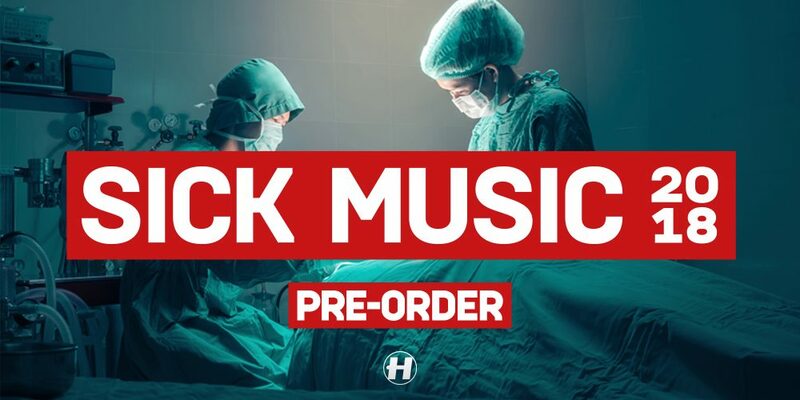 Hospital Records – Sick Music 2018 Competition! To celebrate this long overdue resurrection, we’re giving you lovely folks the chance to win the ultimate Sick Music prize. To win the double gatefold vinyl, exclusive T-shirt and CD all wrapped up in a beautifully slick Sick Music box, all you need to do is head over to Facebook, share THIS VIDEO and tag 2 mates who sends you the sickest music! The competition closes on the 2nd January – good luck! Returning to us for the first time in over 6 years this injection of the finest D+B across the globe see’s some brand new remixes, molten hot originals, each suited for a plethora of purposes. Igniting the dancefloor or just sitting back and relaxing, whatever the weather, this insane record has everything you could possibly ask for, and a must have for any D+B devotee.